In addition to sitting on the Senior Leadership team at Microsoft Ireland, Curtis is a member of the IMI Council and Women’s Inspire. Her career in technology has allowed her many opportunities to both mentor and be a mentee. Curtis’s background is a global as well as an Irish one: she has sat on boards in Ireland, the UK, the Netherlands, and South Africa. Curtis began her career in the financial sector, gaining some work experience before going to university. “I was always interested in technology, which led me to enjoy an exciting international career in Telecommunications with both Irish and global opportunities,” she says. Curtis has experience in leading business, consumer, strategic, and operational teams across both emerging and mature markets. Her involvement in multiple channels across multiple markets has made her a leader in gauging business environments. Looking forward, Curtis predicts digital as crucial to business success, as the title of her presentation, ‘Digital Transformation–An Imperative for Irish Business’, exemplifies. “We believe Irish businesses must successfully transform their business model in the next two years or risk losing out,” she warns. “Irish organisations could tap into a $100 trillion market through successful Digital Transformation of their business models by 2020,” she says. This success is dependent on more than simply utilizing emerging digital technologies, however. Curtis advises businesses that are looking to digitally transform implement an all-encompassing digital strategy. “Digital transformation is not just about the technology alone. It is about fundamental change to business models and processes.” She points to companies such as Laya, IMRO, and Thyssen Krupps as key examples of businesses successfully implementing digital transformation. Aisling Curtis will be presenting “Digital Transformation–An Imperative for Irish Business” at DLR Summit, 8 June 2017, at the Pavilion Theatre in Dún Laoghaire. Dr. Chris Horn, co-founder, CEO, and chairman of IONA Technologies, is the industry expert on Irish technology development, trends, and business. As an honorary Doctor of Science from Trinity College Dublin and former TCD lecturer in computer science, Dr. Horn is at the forefront of the Irish high-tech debate. His career has been marked by positions that speak to both his interest in the digital revolution as well as a passion for digital development in Ireland. Dr. Horn holds a degree in Electronic Engineering, as well as a PhD in Computer Science, from Trinity College Dublin. Dr. Horn co-founded the NASDAQ listed IONA Technologies, listed at one time as one of the top ten software companies in the world by revenue. In addition to his dedicated work with IONA Technologies, Dr. Horn is a noted thought-leader in the Irish digital sphere. With regular opinion contributions to The Irish Times and chairmanships across a number of organizations, including the Irish Management Institute, UNICEF Ireland, the Irish Brain Research Foundation, and The Science Gallery, he continues to work towards an Ireland that is at the cutting edge of global tech development. Dr. Horn will present “How to Digitally Transform and Advance Your Business by Collaboration with Irish Research Partners.” Using specific examples of interesting research, all of which is currently being undertaken by the Irish university system and receiving funding, Dr. Horn will explore how this research can disrupt or transform specific business markets. Specifically, Dr. Horn will examine blockchain, data mining and insights, AI interface, and natural language understanding as digital trends with the power to transform the digital landscape in coming years. 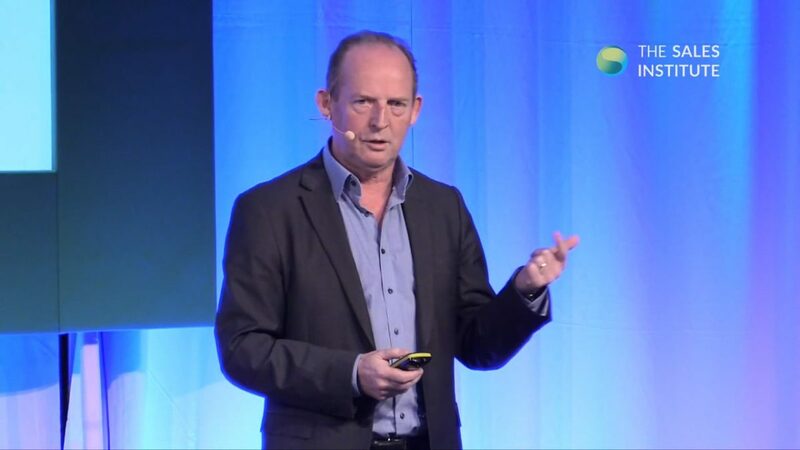 Read about Dr. Horn’s latest projects on his recent profile by Irish Tech News. Niall Hanlon is no stranger to the power of digital. The Facebook Client Solutions Manager for Retail has been involved in the industry for the past 6 years, working on direct response advertising solutions. Following graduation from Dublin City University with an MSc in E-commerce, Hanlon began his career with the National Digital Research Center in Dublin before moving on to a three-and-a-half-year long journey with Yahoo in Dublin and New York. Since early 2016, Hanlon has been with Facebook in Dublin. “I work on the omnichannel retail vertical working with the UK’s biggest retailers,” Hanlon says. His work involves making sure advertisers on Facebook make the most out of the company’s best in class advertising solutions. Hanlon will share his insider information on how these advertising solutions can bolster a business’s marketing campaign at the DLR Summit. 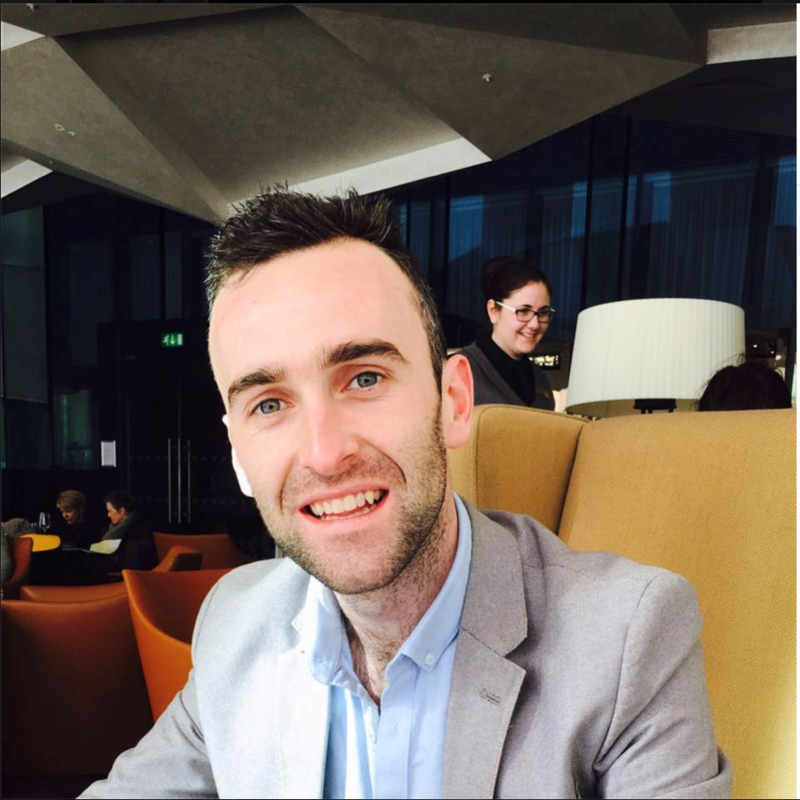 Niall Hanlon will be presenting “The Future of Marketing is Traditional and Visual” at DLR Summit, 8 June 2017, at the Pavilion Theatre in Dún Laoghaire. 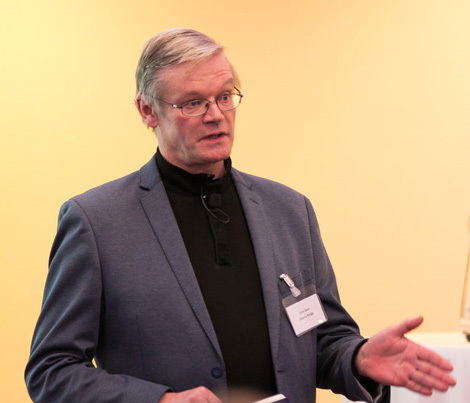 “I have a particular focus on developing large, multinational distribution channels and contributing to the strategic development of the business as a whole,” Goeden says of his role at DMI. Goeden’s presentation at the DLR Summit, “Creating and Using Great Content to Grow an International Business,” will draw from his experience in growing DMI into a highly successful, global organization. Establishing DMI as an industry authority in the digital marketing, education, and training spheres has all come down to content, according to Goeden. From an office space in Dún Laoghaire “creating and using great content and the right messaging, having a solid plan and being consistent has led to success and continued growth on a global scale,” he says. Goeden lists IBM and Oracle as two organizations he believes are at the top of their game in implementing digital transformation. Goeden’s presentation will share key principles of creating and distributing useful content that can position your business in the right way. His back-up examples and stats will exemplify how curating effective content has sparked success for many businesses. Additionally, Goeden wants to stress the importance of collective effort in content creation. “I want participants to leave feeling that there are things they can do routinely as an individual, a team and as an organization that will build brand awareness, drive inbound leads, and stimulate relationships.” Goeden will provide “plans for people to consider implementing when they are back at the office”, a promising beginning for anyone interested in developing effective content for their digital marketing strategy. If you’ve ever come up with a great idea for an Instagram post for your business or updated your organization’s Facebook feed, you know online marketing is an effective and cost-efficient way of reaching consumers. However, if you aren’t taking the time to read the numbers, you may not be getting the most out of your digital marketing strategy. Utilizing data and analytics tools is a must if you want to make the greatest online impact possible. With so many analytics tools and applications out there, approaching data interpretation can be intimidating. What do the numbers mean? What is the most effective method of digitally marketing your product? Which platform works best for your business? 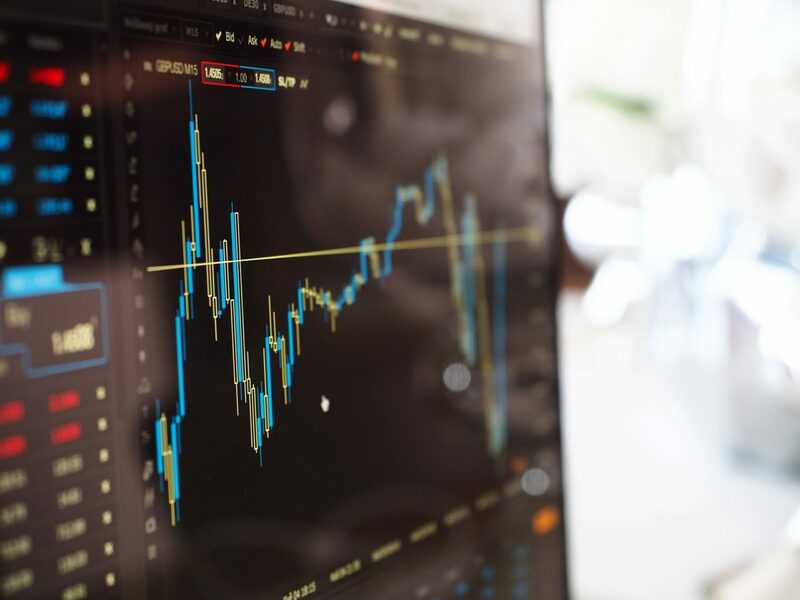 This list will help you sift through the junk and find the easiest, most effective data and analytics tools for your business. Read on to find out how you can use data to measure your marketing campaigns and increase reach and revenue! 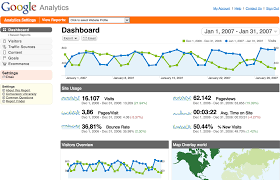 One of the best known data analysis tools is Google Analytics. This application provides you with important information about how well your website is performing, both in general and in regards to specific elements on the site. It measures customer interaction, demographic information about your audience, and which aspects of your website are the most frequently visited. Google Analytics is helpful in determining where your customers are coming from and why they’re visiting your site. 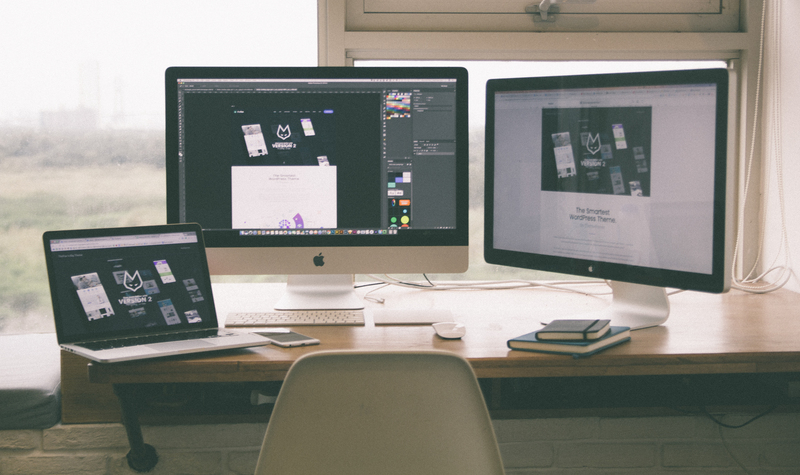 If you feel confused or overwhelmed by the interface at first, you aren’t alone. 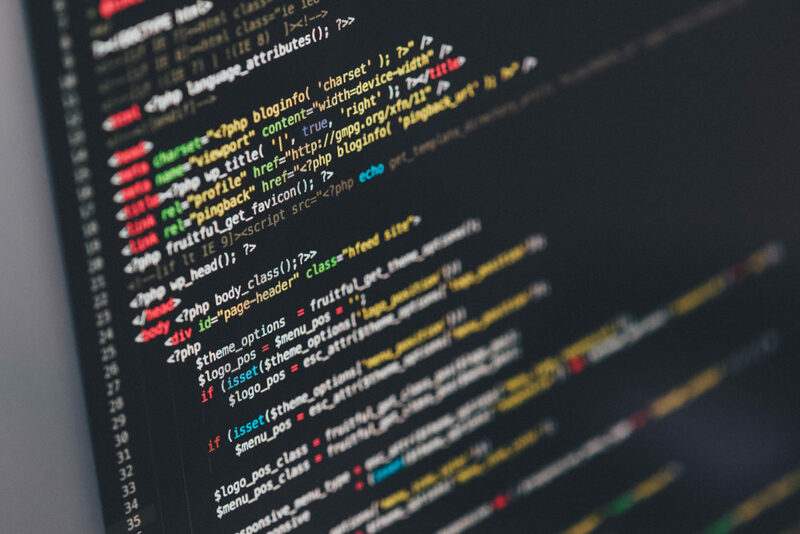 However, Google are constantly updating and improving the Google Analytics user interface, working towards a platform that provides comprehensive information on an easy-to-navigate interface. 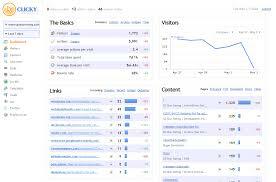 If you’re looking for a more user-friendly Google Analytics, try Clicky Web Analytics. The site provides real-time audience analysis. With Clicky, you can monitor users surfing your website while they’re on the site. Additionally, you can access individualized user reports and visitation history. On-site heatmaps make it easy to monitor which elements of your content are the most popular. Is your marketing strategy focused more on social media platforms than on websites? 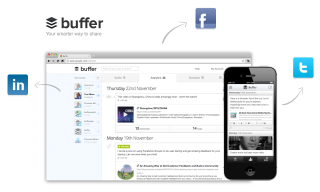 Consider installing Buffer, a wonderful tool that analyzes social media engagement and impact. Buffer’s free plan provides data about social media platforms such as Instagram, Facebook, Twitter, and Pinterest. 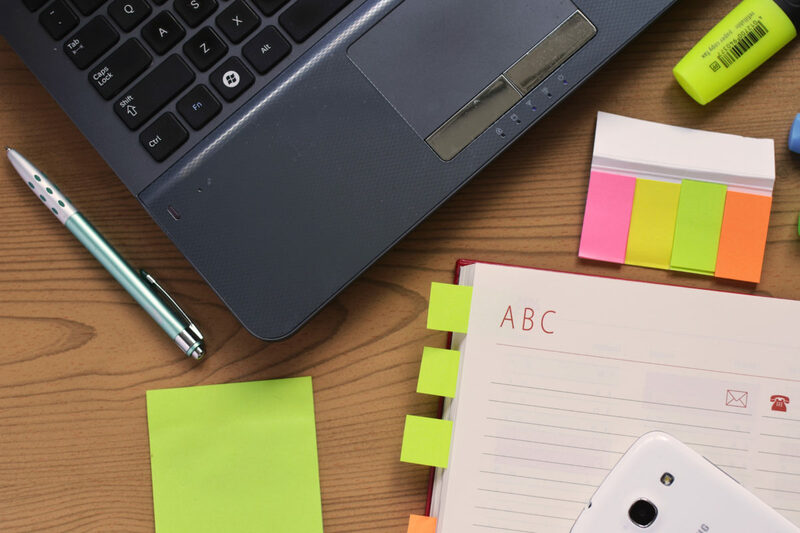 For a busy schedule, take advantage of Buffer’s scheduling software, which allows you either to publish your own schedule or leave it up to the program to publish at times when your content is likely to make the biggest impact. Are you truly engaging with consumers through social media, or could your strategy use an upgrade? Buffer’s statistics reads will make it easy to determine if you are reaching your social media marketing objectives. There’s a reason Cyfe has been consistently named one the top most useful applications for data analytics. Its business-focused, user-friendly dashboard configures data from across a multitude of sources. By drawing information from places like social media as well as websites, Cyfe provides an in-depth analysis of online impact with a large scope. Cyfe allows you to monitor all of your data in one place. 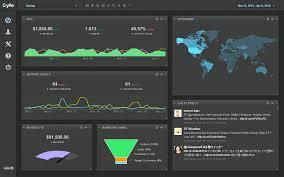 The dashboard feature makes it easy to look at your digital marketing strategy as a whole, or focus on specific aspects, such as social media platforms or finance. Increase your reach by implementing targeted social media campaigns with Facebook Audience Insights. 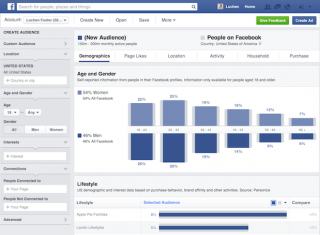 Audience Insights helps you determine how effective your Facebook content is. By using demographic data, Audience Insights allows you to develop content that is specifically targeted based on interests, occupations, locations, or ages of your audience. This platform ensures you have a cutting edge in consumer engagement by enabling you to break down your competitors’ audiences through interest-based data. Crunching numbers is necessary when developing an online marketing strategy. With so many free tools and programs available, it’s easy to make the most of your online presence and ensure your business is a success. A version of this article can be found on the 3XE Digital Conference blog. Charlie Taylor reported in the Irish Times (5th of May) that a recent study from Microsoft found that Irish companies that fail to implement digital strategy are in danger of missing out on opportunities afforded by the digital economy, a sector anticipated to be worth $100 trillion by 2025. Two years is the time frame Microsoft gave Irish companies to digitize in order to survive the upcoming tech revolution. The study found that confusion about how precisely to implement technologies like cloud computing or data analytics prevent organizations from digitally transforming. The research showed that digital disruption from competition could effect up to half of all Irish businesses. Many of these companies don’t know how to begin altering strategy or implementing digital in order to remain competitive. Amarach Research, the organization conducting the study of 300 Irish companies, found that the organizations themselves had a very different view of how they interacted with digital. 80 percent of companies overestimated their readiness for the changing digital landscape. Further, 60 percent perceived themselves as disrupters. Although half of all companies included in the study have digital strategies implemented already, 25 percent felt unsure of how to approach digital transformation. A lack of digital skills and slow-decision making were a few of the reasons cited for an absence of digital strategy. Amarach’s study corresponds with a joint Microsoft/Harvard Business Review report which found that although 80 percent of senior-level leaders felt digital transformation would have a positive impact on their business over the next three years, less than half of those had a strategy in place to take advantage of these opportunities. Digital transformation impacts businesses of all sizes. According to small and medium solutions and partners director at Microsoft Ireland, Aisling Curtis, the life expectancy of a Fortune 500 company 50 years ago would have been about 75 years. “Today, it is less than 15 years due to digital transformation,” she said. In order to be competitive in a digital landscape, Curtis said that transformation has to be implemented at all levels-from customers, to employees, to operations. 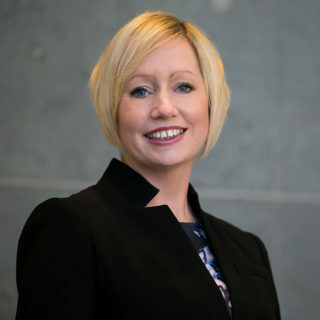 Aisling Curtis is Director of Small Medium Solutions and Partner at Microsoft Ireland. She will be speaking at the DLR Summit on 8 June 2017. Picture by Shane O’Neill Photography. From Laura Slattery for the Irish Times on May 4, shopping in Ireland continues to move off high-street to online. According to a recent study by Wolfgang Digital, Irish e-commerce revenue grew by 45 percent in 2016, marking major growth for the second consecutive year. Wolfgang Digital notes that this online growth translates into a rate at nine times the rate of Ireland’s gross domestic product. Chief executive Alan Coleman said that Ireland can “expect this rampant growth to continue” in years to come. This recent report studied a sampling of Irish retail and travel companies. The organizations surveyed had combined earnings of nearly €300 million for the year 2016. Retailers cited a revenue growth of 24 percent. As for Irish travel sites, Wolfgang determined these businesses had a “whopping” 79 percent swell in earnings. These sites also boasted a 15 percent rise in average transaction value, in addition to an improved rate for converting visitor traffic into revenue-earning transactions, likely due to a recent tourism boom in the country. Shoppers took to the Internet for the yearly Christmas shop, figures from the fourth quarter suggest. 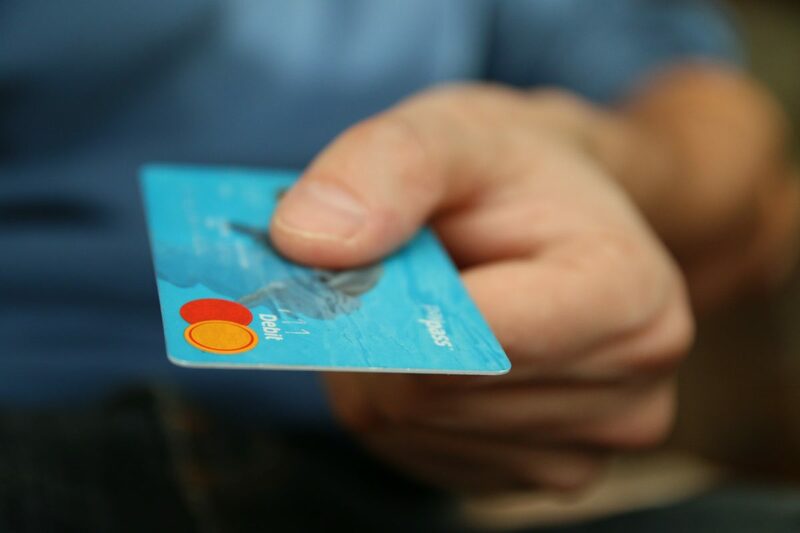 As transaction growth exceeded revenue growth, the study indicates that online retailers offered customers online discounts, which were readily taken advantage of by holiday shoppers. Cutting-edge advertisement formats such as “conversion-focused” strategies earned retailers who adopted these formats early-on higher revenues. Google Shopper ranked as the top-performing revenue-driver for companies included in the study. The format, which promotes search results from various retail sites in response to keywords, was only launched in Ireland in 2016’s fourth quarter. Wolfgang cited smartphones as the primary mode of shopping online. 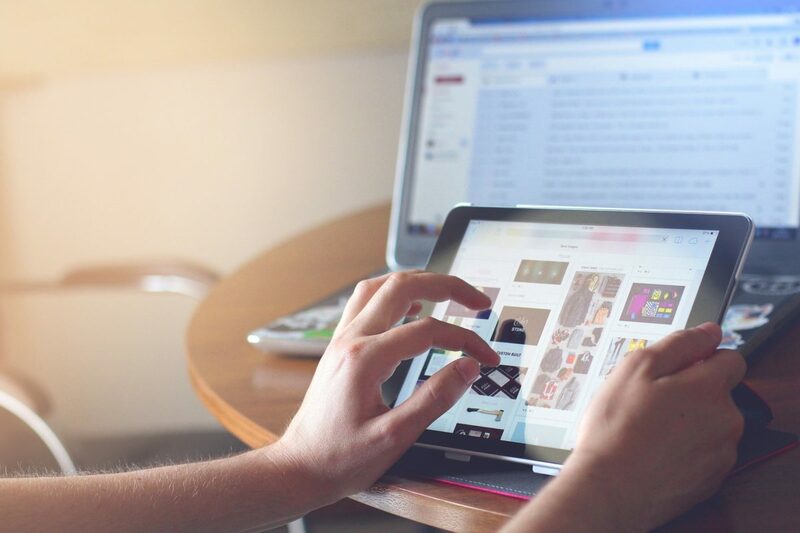 The devices accounted for 45 percent of online traffic, with desktop browsers holding 42 percent of traffic, and 13 percent generating from tablet devices. Coleman wasn’t surprised by these results, despite this being the first Wolfgang study to find mobile traffic outpacing desktop. Wolfgang Digital found that the portion of revenue for retail sites originating from outside of Ireland cooled from 36 percent in 2015 to 19 percent. The study cites this trend as a result of the weakening of the pound in comparison to the euro. However, Coleman said Brexit offers Irish e-commerce retailers an opportunity in regards to the European market. Not only is competition in the UK is “floating further and further away from the valuable European market,” but also “the EU’s drive to enhance the Digital Single Market” make the European market a prime target for Irish e-retailers. 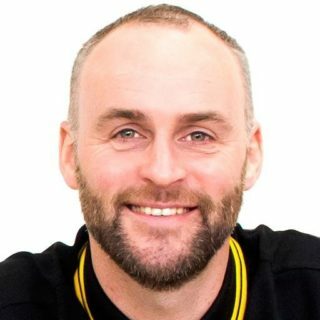 Alan Coleman is the CEO and founder of Wolfgang Digital. He will be speaking at the DLR Summit on 8 June 2017. Of the organizations included in the report, less than half had developed a set strategy for future digital improvement in order to stay competitive in a digital landscape. A mere 53 percent of businesses surveyed acknowledged an immediate necessity to establish a digital strategy. A majority of those surveyed felt the move to digital lay below upper-level management and executives, believing it was the responsibility of IT departments, instead. Out of the participants at management and senior-levels, 60 percent stated that digital transformation was not a crucial issue for CEOs. Irish sectors including finance, analytics, and agriculture were included in this second report by the KingramRed digital consultancy firm. The survey considered businesses’ engagement with developing technologies, such as analytics, AI, smart devices, and robotics. Alternatively, robotics proved to be a technology that Irish businesses have been hesitant to adopt. Only “30 per cent of organisations” are currently examining how to implement robotic solutions in their business or considering adopting robotics. This lack of advancement in digital transformation could be boiled down to one major agreement in the report. A strong majority felt there is a current “shortage of skills and resources,” making it difficult to implement a digital transformation strategy. 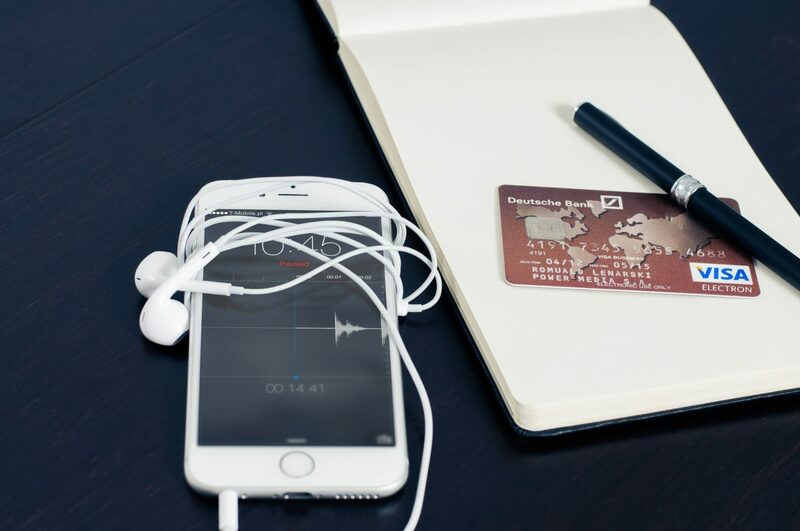 Although 72 percent of participants are funding digital in their businesses, only half of business are confident in their digital resources, claiming that their organizations have the skills necessary to implement digital action plans. Approaching a conference can be a little intimidating. While you know there are excellent networking opportunities at any conference, the experience could feel like a mind-boggling blitz of speaking events, chit-chat, and meet-and-greets. How do you make the most out of your conference without feeling frazzled? Read the following tips to ensure your next conference experience is a success! Spend some time thinking about what you want to get out of the conference. Take a minute in the days before the event to jot down some goals and questions. What do you hope to learn from the sessions? Are there particular groups you want to network with? Consider what you want to discuss with other attendees. When you’re at the conference, be aware that there could be some awkward moments. To ease the uncomfortable silences after saying hello, have some material ready to go. Be friendly and offer your details–who you are, what company you’re with, why you’ve decided to attend this conference. Keep the conversation rolling with a list of stock questions you can ask anyone you bump into. You won’t be the only one doing some hard work while networking. Be sure you’ve brought your laptop and mobile phone chargers with you! You’ll be using them to take notes, names, and numbers all day. Don’t get caught with a dead device. Approach the conference hoping to make purposeful connections, rather than a list of names and numbers. Avoid rushing around trying to pass your business card to every attendee or awe the big guns. It’ll be much more beneficial to establish the base for positive, rewarding business relationships by connecting in an authentic way. Make your first connection count. Perhaps this person is attending with a group of associates, who they can then connect you with. If they’re alone, the two of you can team up and approach larger groups. Don’t forget tip number one: be prepared with interesting, applicable dialogue. Breaking into a bigger group is a necessity, but it can be uncomfortable. Stay confident and ease into the conversation by approaching someone solo. Introduce yourself and bring up suitable industry topics. Ask for their opinions, and let the conversation flow naturally. Take advantage of the wonderful networking opportunities provided by social media. Search conference-related hashtags before the event to get a better idea of the conversation. When you’re at the conference, check in on Twitter! Use conference hashtags to find other attendees, or to make it easy for them to find you. Note the usernames of tweets you find engaging and be ready to bring up the topics you notice in conversation. If you’d feel more comfortable in a more formal setting, use LinkedIn to network online with other professionals. LinkedIn gives you a more in-depth look into professional backgrounds, so you are better informed as to who you’d like to network with, what their interests are, and how their experience can be relevant to yours. Between names, Twitter handles, presentations, and networking topics, there will be a lot of information to soak in. Know your best note taking strategies. What works best for you: pen and paper? Tablet word processors? Head in to every presentation prepared to jot down key information. After each session, take a few minutes to note a few main points. If you have follow-up questions or comments, write those down too. When you return to the office, you’ll have a list of handy info ready-to-go. 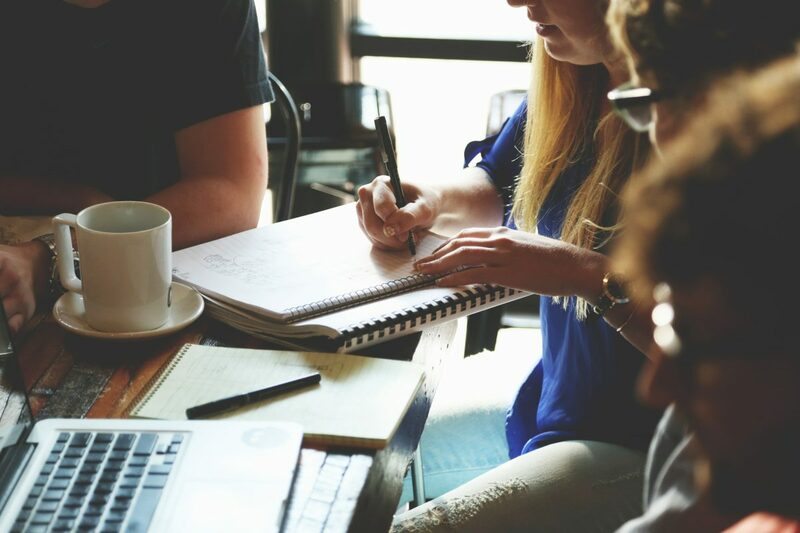 Networking is meant to help you establish rewarding business connections. In the days following the conference, send comments, questions, and requests to the people you want to follow-up with. Make your message stand-out by reminding your connection of what you discussed. Attendee inboxes will be overflowing after any networking opportunity, so it’s important your message is personal and memorable. Speaker Hugh O’Byrne, VP Digital Sales for IBM, will be presenting “Digital Strategy for Business”. O’Byrne has an extensive background in the digital world. With over thirty years of experience, O’Byrne began programming as business use in computers was expanding from large corporations to medium-sized businesses. Currently, O’Byrne is responsible for digital sales at the $80 billion technology company, IBM. He created the largest digital sales center in Dublin for IBM globally, a project that employs 800 people in Dublin and another 120 in Bratislava, Slovakia. Companies that engage with the Internet can be categorised in two ways, O’Byrne says: those which have grown up with the Internet and have always used it in business and those which are now applying it to their business models. 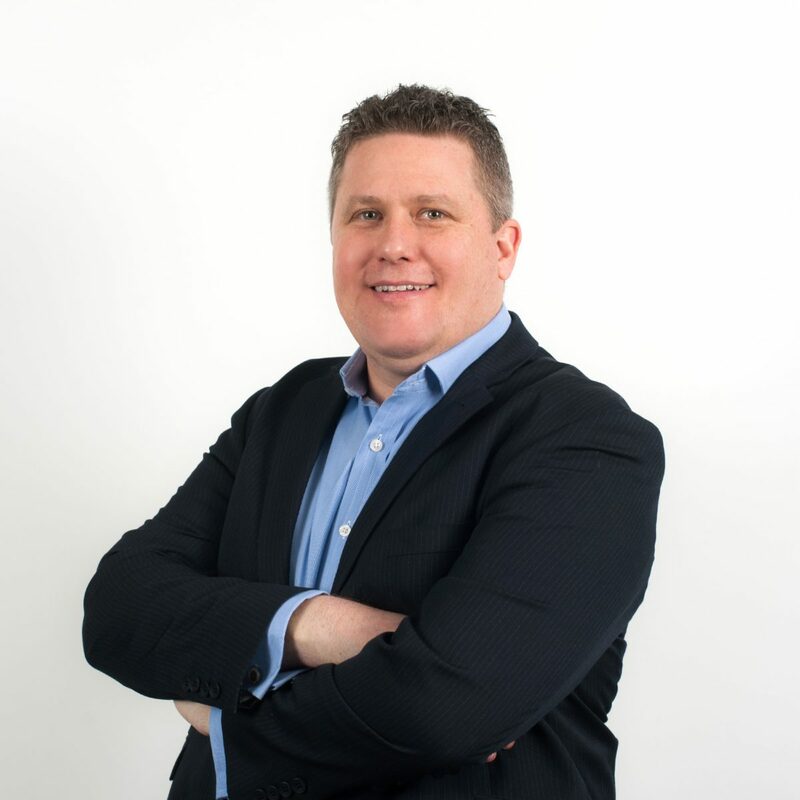 “Whichever company you are–digital is a key element of your digital strategy going forward.” In his presentation, O’Byrne will exemplify how businesses can incorporate digital strategy into their models with an Irish company that uses digital in their business daily.